14K gold and diamond ring, features 3 round cut diamonds set against a white gold background, in a yellow gold band. • Metal: This ring is crafted of 14K yellow and white gold. 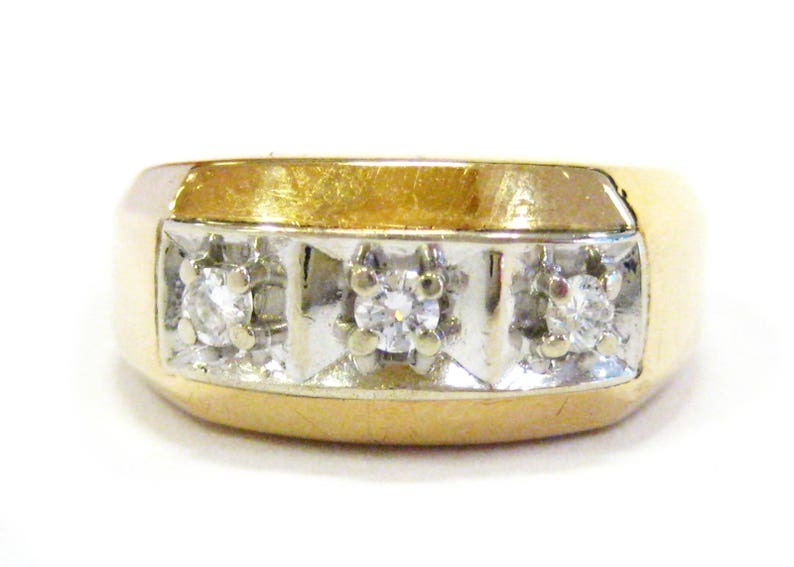 •Measurements: The front of the ring measures 0.375" (9.5mm) wide.